Many duplications and complications can be prevented if you take charge of your medicines. Recording and updating your medication list will enable effective communication between your doctors and pharmacist about the medicines that you are taking. Just Ask! Know your medicines, get it right! Be proactive! Keep a well –maintained “Medication List” because it empowers you and serves as a written mode of communication between healthcare providers. 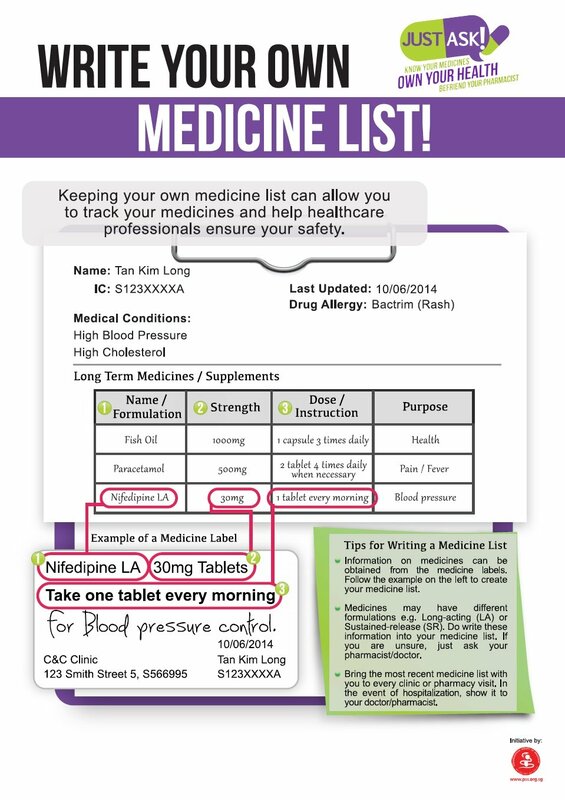 Please click here for a template of the medication list.